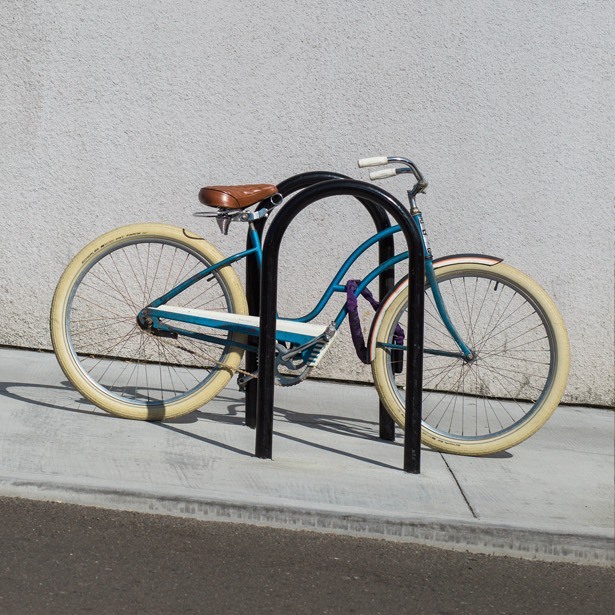 On your travels to Arcata remember to bring along your bicycles. Bicycles are one of the many ways to explore the vast coastline, extensive forests and rolling mountains of Arcata and the Redwood coast. 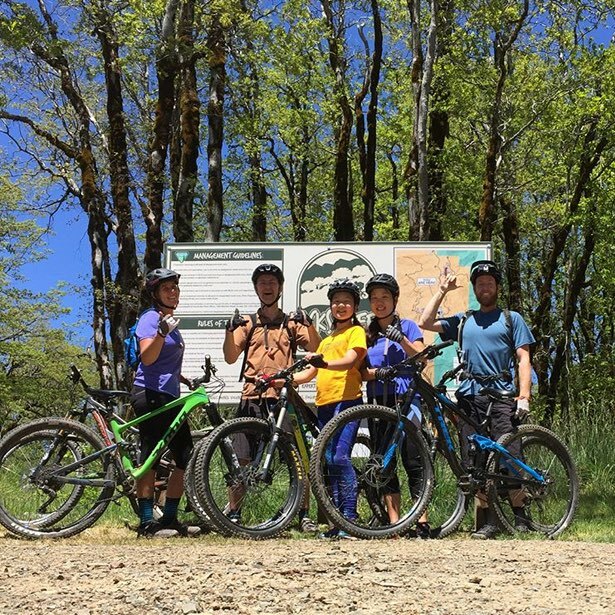 Arcata Community Forest – Offers steep climbs and fun green to blue level riding within the scenic Redwoods. 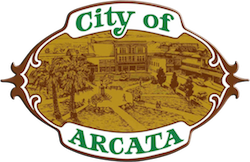 Because Arcata is cradled in the arms of the Community Forest you can ride from the trails straight into town for food and drink or any of your needs. Sunny Brae Forest – The southernmost portion of the Arcata Community Forest, with similar green to blue level trails through scenic Redwood and mixed conifer forests connecting to the Community Forest on the ridge trail. Lacks Creek Management Area – Located in the northern Coast Mountain Range approximately 30 miles from Arcata, offering rides for a full range of abilities. 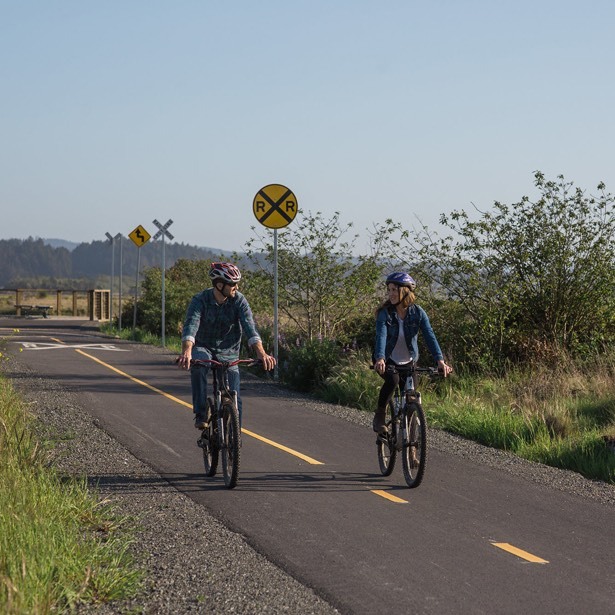 Enjoy this beautiful part of Humboldt county as you ride through Douglas Fir & Oak woodland with occasional views of the Pacific ocean and the Redwood coast from high points along the route. Hatchery Ridge Trails – Steep, raw, hand built single track twisting through beautiful Redwood forests above the Mad River. These are new trails being developed by Redwood Coast Mountain Bike Association (RCMBA) on private Green Diamond Resource Co. land in sunny Blue Lake, approximately eight miles east of Arcata. You must be a member of or accompanied by a member of the RCMBA to ride here. Paradise Royale Trails – In an area known as the Lost Coast, you can explore the Douglas Fir covered peaks and ocean views in this backcountry setting with varying levels of difficulty. Access to this portion of the Lost Coast is from Redway, CA, approximately 75 miles south of Arcata. Hammond Trail – As part of the California Coastal Trail, the 5.5-mile Hammond Trail provides adventure, history and beautiful vistas. The south entrance, located in Arcata, commences over a 1942 steel truss bridge across the Mad River and tunnels through a beautiful thick overgrowth of flora before opening up to spectacular bluff-side views of the Pacific Ocean. Road and touring bikers should check out the Humboldt Bay Area Bike Map.